Get ready to have fun with your favourite childhood heroes, comic book stars and cartoon characters at Universal’s Islands of Adventure™, one of three awesome theme parks at Universal Orlando Resort. Have you always wondered what it would be like to swing through the city with Spider-Man®? Or how you would survive on Skull Island: Reign of Kong™? 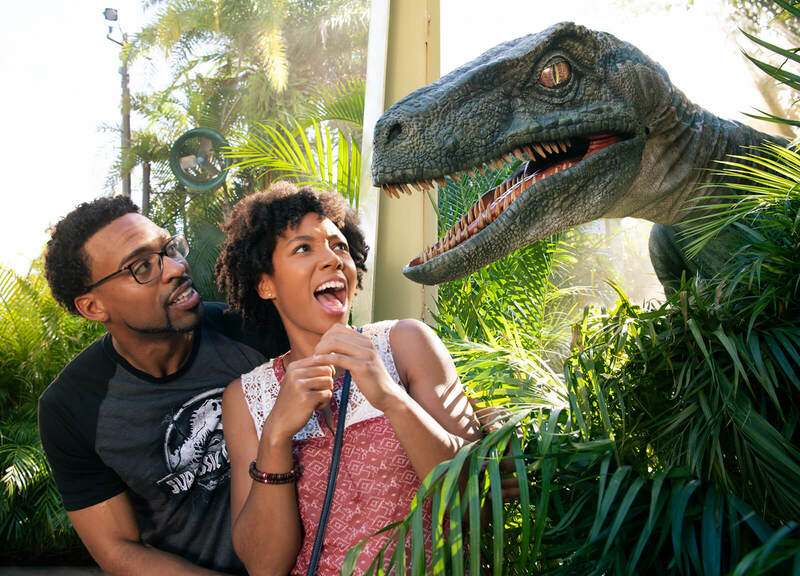 And make sure you watch out for those hungry dinosaurs when you visit Jurassic Park™! You'll find magical spells, dark villains and daring heroes at The Wizarding World of Harry Potter™ – Hogsmeade™! Explore Hogwarts™ castle, eat at the Three Broomsticks™ and come face-to-face with enchanting creatures as you soar over the castle. Plus you can travel between both lands of The Wizarding World of Harry Potter™ by riding the Hogwarts™ Express# between Hogsmeade™ Station in Universal’s Islands of Adventure™ and King's Cross Station at Universal Studios Florida™! For the first time ever, join Hagrid™ as you fly deep into the wilds of the Forbidden Forest, beyond the grounds of Hogwarts™ castle, on a thrilling roller coaster ride that plunges into the paths of some of the wizarding world’s rarest magical creatures. 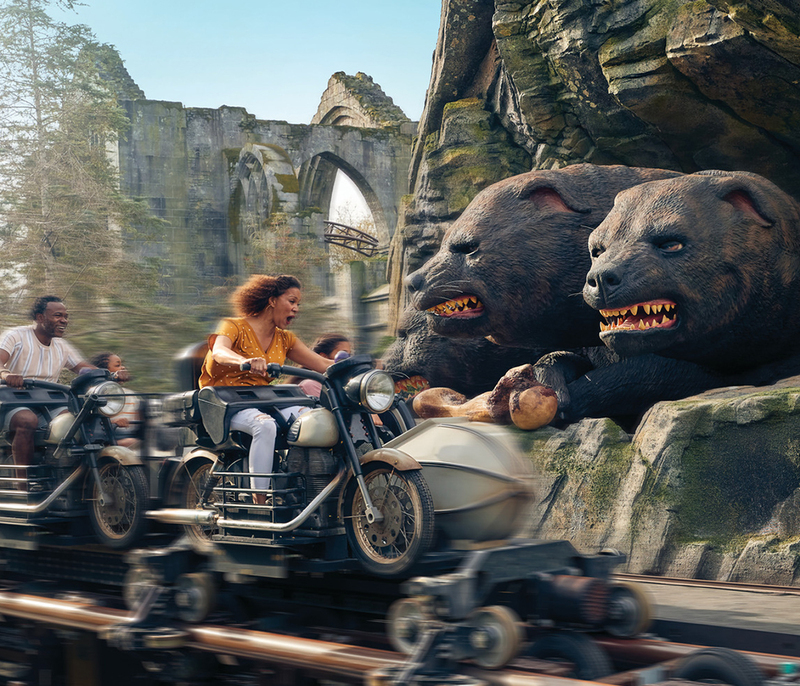 Hagrid’s Magical Creatures Motorbike Adventure™ - Universal’s most highly themed, immersive coaster - opens June 13th, 2019. Only at The Wizarding World of Harry Potter™ – Hogsmeade™, at Universal Orlando Resort. Staying at an on-site hotel? You’ll be able to enjoy Early Park Admission† to The Wizarding World of Harry Potter™ one hour before the theme park opens, so we recommend heading for this section first before the general crowds hit! A fierce realm is rising to Universal’s Islands of Adventure™. 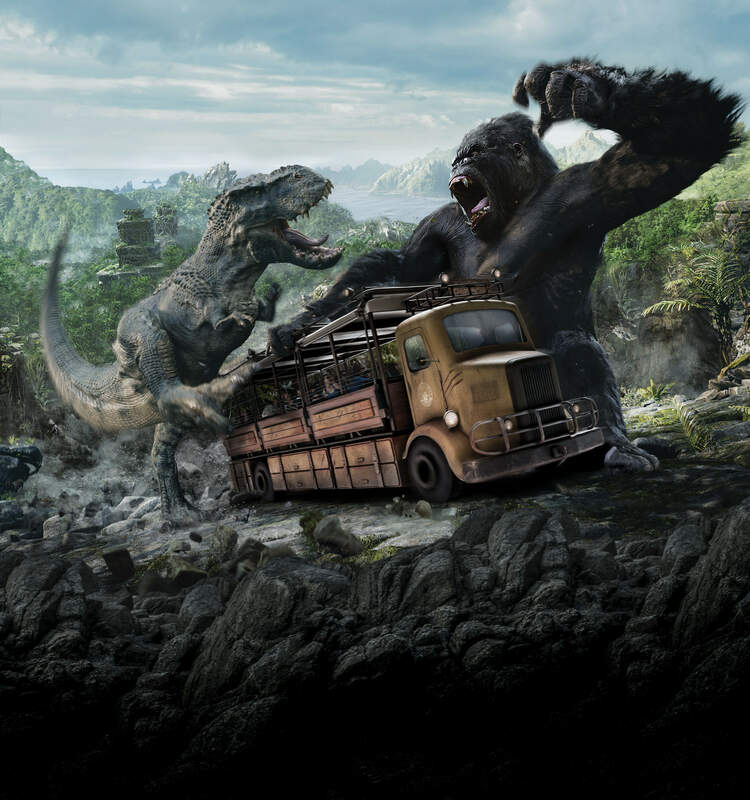 Skull Island: Reign of KongSM is a multi-sensory, multi-dimensional, monstrous ride. Live the brutal struggle of a 1930s expedition to a mysterious island. As you journey deep into the dark heart of the jungle, your crew is swarmed by unspeakable creatures and attacked by enormous prehistoric predators. Your only hope is the most colossal ape ever to walk the earth. As the beasts fight for dominance, you will just fight to survive…. This comic book city is where you’ll see the world’s mightiest super heroes as they face off against their most diabolical arch-enemies! Doctor Doom’s Fearfall®: A diabolical device created to extract every ounce of fear from your body! 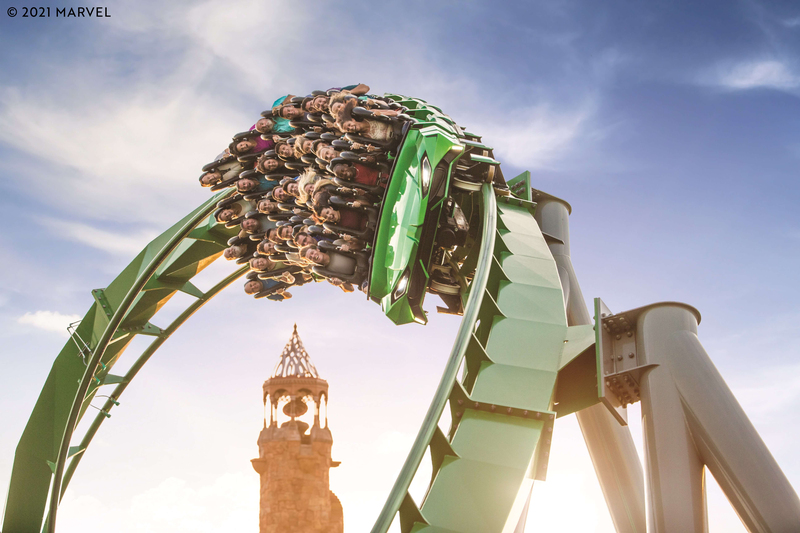 The Incredible Hulk Coaster®: Hulk-like power propels you upside-down into a weightless zero-gravity roll, racing faster and faster down the track. Hang on with superhuman strength! This island is home to over 150 life-size sculptures dedicated to your favourite cartoon characters! Me Ship, The Olive®: Kids can explore the fun-packed decks of Popeye®’s boat on this 3-level interactive play area! Popeye and Bluto’s Bilge-Rat Barges®: A hair-raising, white-water raft ride; you’ll wish you’d brought your spinach – and a towel! A creation 65 million years in the making! Jurassic Park River Adventure®: This river raft ride is perfect for a hot day – because you’re guaranteed to get wet! Jurassic Park Discovery Center®: See the fossilised remains of a gigantic T. rex, watch a Velociraptor hatching from its egg and more prehistoric miracles! Encounter epic adventures on this ancient island populated by mythical gods, mysterious beasts and mystical wizards. Make a wish on the Mystic Fountain, but watch out for the mischievous spirit that lives inside it! The Eighth Voyage of Sindbad®: Cheer on the heroes and boo the villains in this incredible swashbuckling stunt show! Poseidon’s Fury®: This show takes you under the sea in an explosion of fire and water with spectacular special effects. Kids of all ages (and mums and dads too) love the Dr. Seuss books, and little ones especially won’t want to leave this whimsical, colourful world where they can become part of his best-loved children’s stories! Go for a whirl on the Caro-Seuss-el™ - a firm favourite with toddlers! Join The Cat in the Hat™ and friends for a crazy spin on his couch! Steer One Fish, Two Fish, Red Fish, Blue Fish™ through fountains that squirt in time to a musical rhyme! There are so many awesome rides at Universal’s Islands of Adventure™ - so here are just a few of our favourites! 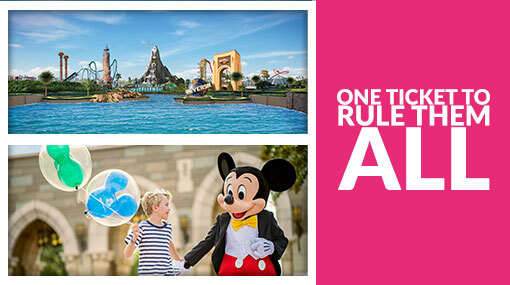 Universal’s Islands of Adventure™ operates a Child Swap for guests visiting with small children or babies. One of your group can take their turn on a ride whilst the other one takes care of the little one, then you can swap without having to get back in the queue! You'll be strapped into your seat, with menacing Doombots watching your every move. As the countdown reaches zero you’re suddenly rocketed 185ft into the air and then hurled back down, faster than the force of gravity! Hang on with superhuman strength as this high-speed, red-line rampage smashes its way through the sky. It's lunchtime... and you're on the menu! This thrilling river raft ride takes you through the jungle of Jurassic Park® to see dinosaurs in their natural habitats. Chaos unfolds as the lights go out, raptors stalk your every move, and your only escape from the terrifying jaws of a T. rex is an 85-foot plunge into total darkness….. This is one of the park’s most popular rides - especially on a hot day - but prepare to get very, very wet! 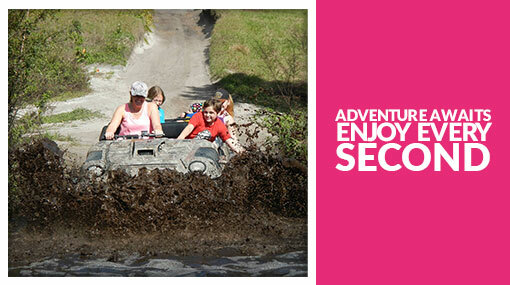 The Jurassic Park River Adventure® is most suitable for older families, teens and adults. 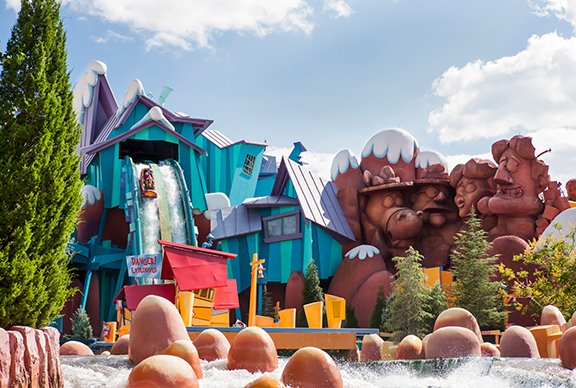 You’ll find it hard to keep the grin off your face on this hilarious journey through the Canadian North Woods, and you won’t be able to stay dry either as you take an incredibly steep plummet down Ripsaw Falls! Join your friendly neighbourhood Spider-Man on a 3-D adventure that takes you swinging and soaring high above the city streets! Career through the streets, scale skyscrapers and plummet down in a simulated 400-foot freefall – just like in the Spider-Man films! For comic connoisseurs, there’s even a cameo by the legendary Spider-Man co-creator, Stan Lee. The Amazing Adventures of Spider-Man® is most suitable for older children, teens and adults. This ride is not suitable for expectant mothers and anyone with neck, back or heart problems. This is one of the most popular family rides at Universal's Islands of Adventure™! 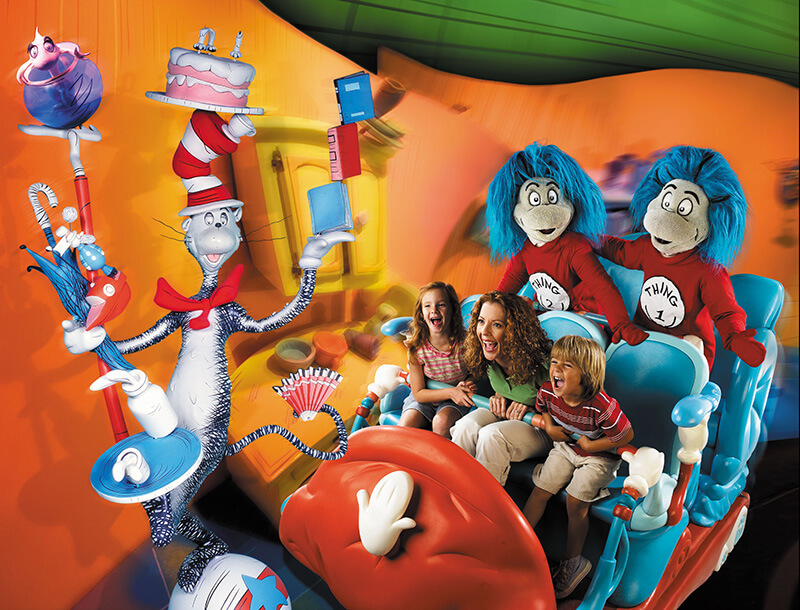 Everyone knows the story of “The Cat in the Hat', and this ride recreates it scene for scene – with you in the driving seat (or should that be couch)! Swim low and fly high on board your own colourful fish, past fountains that squirt you with water in time to the music! Make sure you pay attention to the words and do what they say if you don't want to get wet! This daily show at Seuss Landing™ features all the popular Dr. Seuss characters, including The Cat in the Hat™, The Grinch™, the Lorax™ and Sam from Green Eggs and Ham. This is the perfect opportunity for kids to get autographs and photos with the characters! Inside the Mystic Fountain lives a mischievous Water Spirit, who loves to play games with passers-by - especially children. Throw in a coin and make a wish; it might come true… or you just might get a watery surprise! You can make online reservations for select restaurants at Universal’s Islands of Adventure™ with opentable.com. Here you can also read reviews and choose your dining time. You’re also welcome to book into select restaurants while you’re at Universal Orlando Resort™ - just visit one of the kiosks around the parks or pop into the restaurant itself. Fancy taking a break from the theme park while you have your meal? Head to Universal CityWalk™, where you’ll find all kinds of fabulous eateries! Serving dishes from around the world, including grilled sandwiches, burgers, soup, salads, fajitas, pasta, and a full bar. The Confisco Grille® serves breakfast and lunch daily. Mythos Restaurant® has been voted the World's Best Theme Park Restaurant for six years in a row – so you know you’re in for something special when you eat here! Mythos Restaurant® is open for lunch daily, and serves contemporary cuisine including sandwiches, seafood, pizza, pasta and salads. Perfect for a breakfast stop before your day of adventure! Enjoy savoury deli sandwiches, paninis, fresh-baked pastries, cheesecakes and more. The Croissant Moon Bakery® is open all day. 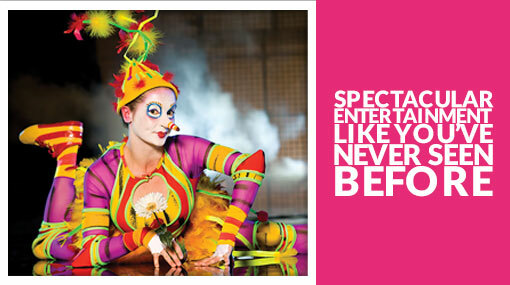 Step into the big top, where bizarre creatures perform and acrobats twirl high overhead as you eat! With fried chicken, spaghetti, pizza, cheeseburgers, chicken caesar salad and more on the menu, this is a great place for kids! This is where the staff paleontologists of Jurassic Park® take a break from unearthing fossils and dig in to delicious burgers, garden burgers, chicken sandwiches, chicken tenders and ice cold drinks. Grab a bite at this fun cafeteria-style food court, where the walls are decorated with your favourite comic strip characters! Open from 11am to just before park closing time, you can enjoy fried chicken, fish & chips, hot dogs, burgers, and even Asian & Italian dishes. Where the heroes hang out – this star-spangled diner is a great place for kids! 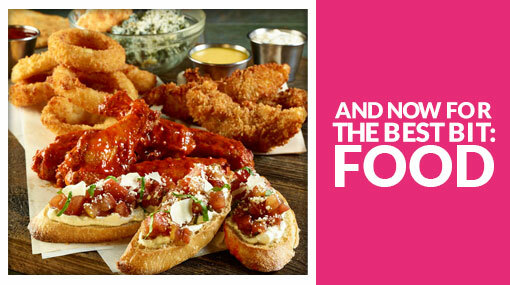 Tuck into an All-American menu of cheeseburgers, sandwiches, chicken fingers, and crispy chicken salads. Cinnabon® - Classic Cinnamon Rolls, Caramel Pecanbon® Rolls, and Cinnabon Stix®. Arctic Express - Tasty frozen treats including waffle cone ice cream, sundaes, funnel cakes, and root beer floats. Hop On Pop™ Ice Cream Shop - ice cream sundaes, a sundae on a stick, waffle cones, and root beer floats. Moose Juice, Goose Juice – juice, frozen juice, fresh fruit cups, churros, pretzels, and cookies. Fire Eater's Grill™ - grilled gyros, fiery chicken stingers, chicken fingers, hot dogs and salads. The Watering Hole™ - hot dogs, wings, chilli, nachos, beer, wine, cocktails and frozen drinks. Many restaurants at Universal Orlando™ offer healthy side options for the adults’ and children’s meals, including trans-fat-free fries, side salad or fruit. For more info about healthy choices, pick up a theme park guides when you arrive. It’s easy to walk from Universal’s Islands of Adventure™ to Universal Studios Florida™ and Universal CityWalk™, so don’t worry about needing to get any kind of transport between the parks and entertainment complex! Ride the Hogwarts Express between parks! If you’re excited about visiting The Wizarding World of Harry Potter™, you’ll know all about the Hogwarts™ Express# that takes you between Diagon Alley™ at Universal Studios Florida™ and Hogsmeade™ at Universal's Islands of Adventure™. You’ll have a different journey experience depending on which way you’re travelling, so we recommend to travel one way on one day, and the opposite way on a different day! Staying at one of Universal Orlando’s on-site hotels? Guests staying at one of Universal Orlando Resort hotels have a choice of transport to get to the theme parks and to Universal CityWalk™! Universal Orlando™ Resort has an enclosed parking garage with travelators, escalators and lifts. All queues are accessible to guests using manual wheelchairs (with the exception of Pteranodon Flyers® at Universal’s Islands of Adventure™). American Sign Language interpreting services are available on a daily basis at Universal Studios® and Islands of Adventure at no charge. Please refer to the guide map for interpreted performances upon arriving at the resort. What can I bring into Universal’s Islands of Adventure? Universal’s Islands of Adventure™ has plenty of eateries offering every kind of cuisine imaginable, there’ll be something to suit every palate and pocket, from fine dining to counter service restaurants and walk-up food windows for a quick bite on-the-go..
Complimentary transportation to and from both theme parks and Universal CityWalk™. FREE* Universal Express Unlimited™ ride access to skip the regular queues in Universal Studios Florida™ and Universal’s Islands of Adventure™ (Valid theme park admission required. Not valid at Universal’s Volcano Bay™). 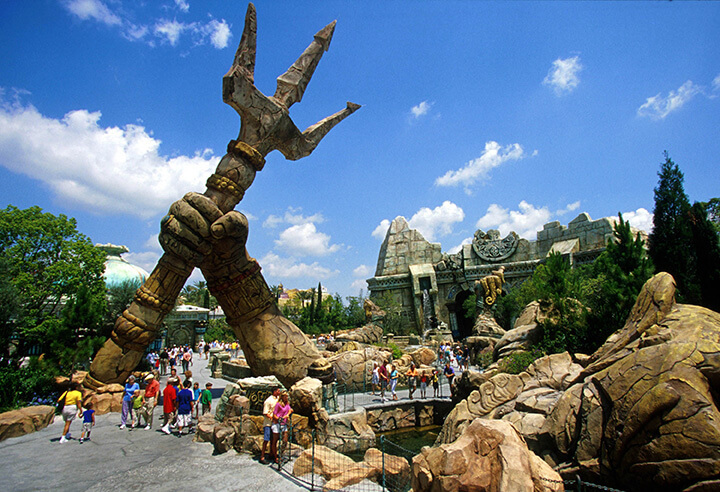 Looking for Universal's Islands of Adventure tickets? † Requires theme park admission. Early Park Admission begins one (1) hour prior to regular scheduled park opening to either Universal Studios Florida™ or Universal’s Islands of Adventure™ (as determined by Universal Orlando) and Universal’s Volcano Bay™. 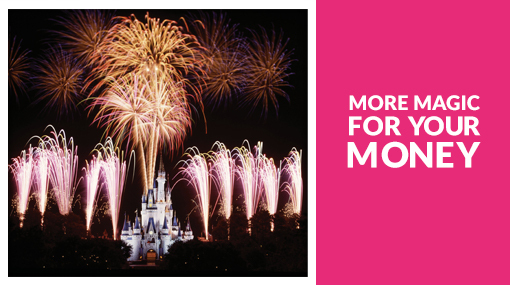 Valid at select attractions at each park. 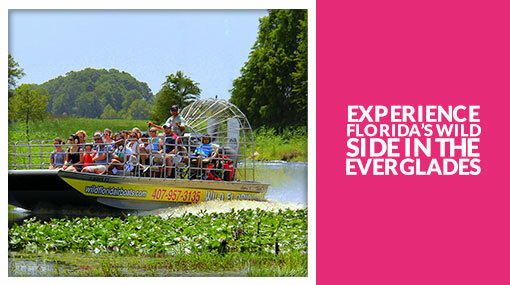 Attractions are subject to substitutions without notice. Additional restrictions may apply. © 2018 MARVEL. Jurassic Park, Camp Jurassic, Jurassic Park River Adventure, Jurassic Park Discovery Center TM Universal Studios/Amblin. Popeye © 2018 King Features Syndicate, Inc. TM Hearst Holdings, Inc. Rocky and Bullwinkle and Friends TM & © Ward Productions, Inc. Dr. Seuss properties TM & © 2018 Dr. Seuss Enterprises, L.P. All rights reserved. © 2018 Cinnabon, Inc. All Rights Reserved. Cinnabon®, the Cinnabon Logo, Minibon® and Caramel Pecanbon® are trademarks of Cinnabon, Inc. Loews Portofino Bay Hotel and Loews Royal Pacific Resort logos © 2018 UCF Hotel Venture. All rights reserved. Hard Rock Hotel ® Hard Rock Cafe International (USA), Inc. Universal elements and all related indicia TM & © 2018 Universal Studios. All rights reserved.